Whenever someone mentions Baltimore three things come to mind: O's, Boh's and Crabcakes! Granted those might be our three claims to fame (oh and those Ravens too lol) there are so many other AMAZING things to do and see while in Baltimore. 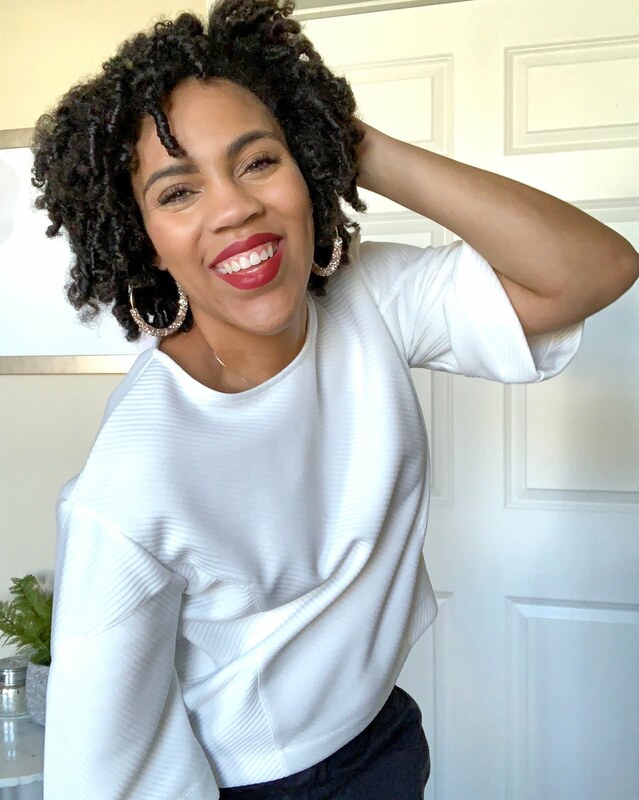 Since you lovely people will be visiting Baltimore for three whole days during Blogalicious weekend, that means there's plenty of time for you to see a little bit more of what my city has to offer. Oh and if you're not sure what Blogalicious is or if you haven't registered yet...WHAT ARE YOU WATING FOR?! Be sure to check out all the deets HERE and sign up ASAP! 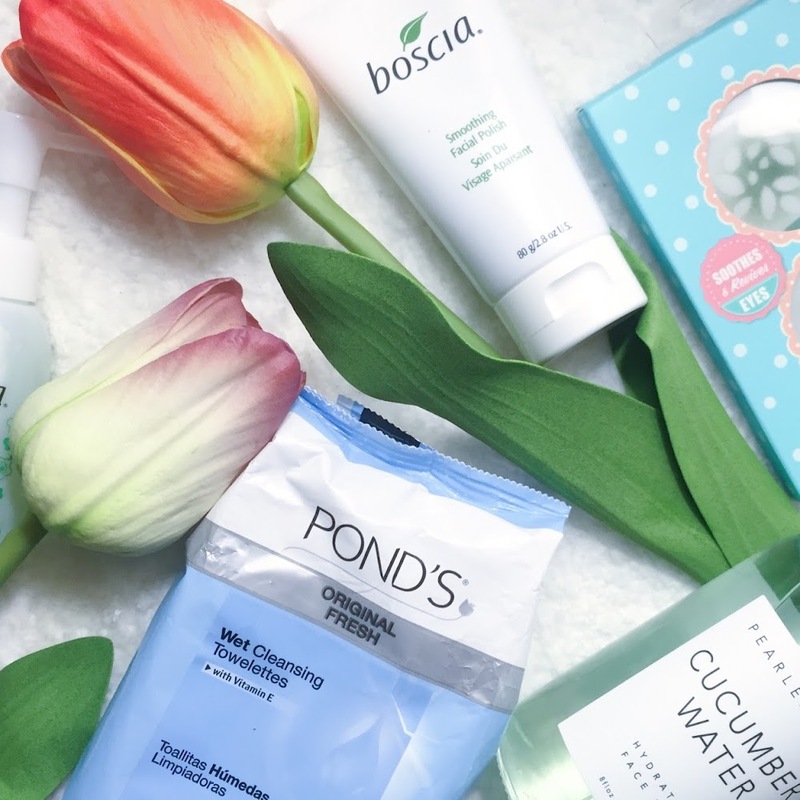 Being that I'm Baltimore native and will also be attending Blogalicous weekend, I figured I'd your virtual tour guide on all things Baltimore. Below you'll find a check list of the top things you should to do, see and eat during your free time while here in "Bawlmer". Remember Hon, they don't call us Charm City for nothing. By the time you're done with this list you'll be begging to call Baltimore "home". What can I say, this girl loves her food so I had to start with it. Blue Moon Cafe is a tiny mom & pop ten table eatery right outside of harbor east, serving up THEE BEST breakfast you can ask for. 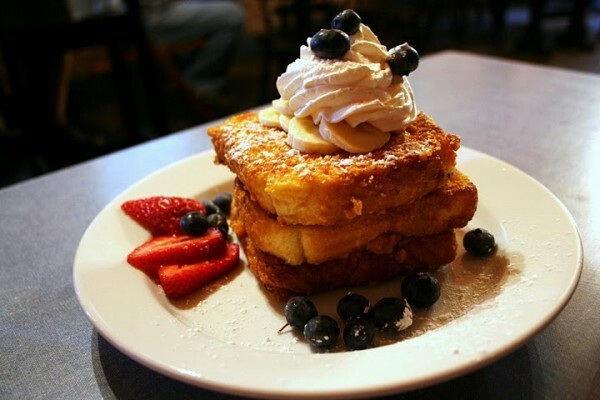 You may have seen them on Diners Drive Ins and Dives when Guy fell in love with their Captain Crunch French Toast. Trust me you will too. They are open 24 hours a day starting Friday Morning running until Sunday at 9pm. I suggest making your breakfast your dinner and going mid-day or late evening to skip 2 hour + wait. (That should let you know how good it is). Its most definitely worth the trip! 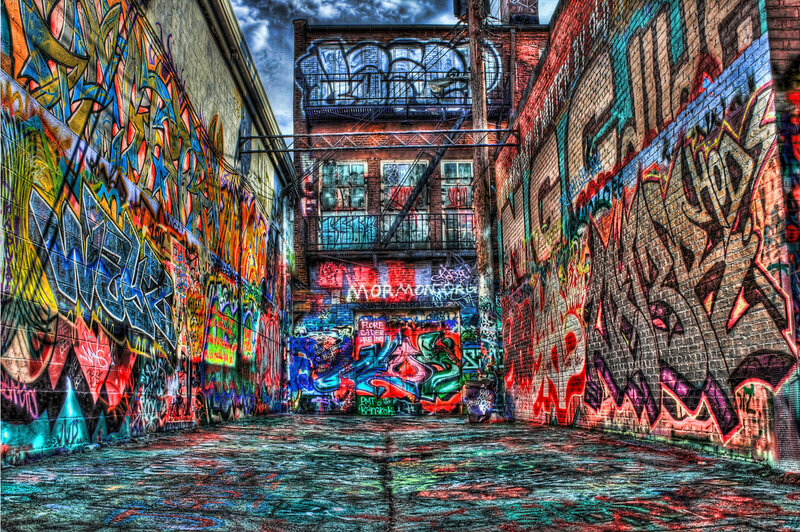 If you're a fan of the arts or just looking for a funky back drop for an OOTD post, you'll love Graffiti Ally. Tucked away in an L shaped road way between North Avenue and Howard Street, this gem is an ever changing art piece by put together by local spray painters. It's a beautiful thing to see and really shows of the skill and talent in this super artsy district. If you have the chance you MUST swing by. The last time I visited, they had the cutest little minions on one of the walls! I all but died! Staying through Sunday? As early as 7am you can catch local crafts, artisans, farmers and chefs with their wears and eats on display at this Baltimore staple. We house it under the JFX every Sunday, if you're only here for the weekend I would put this on your "don't miss" list to get a true taste, literally and figuratively of Baltimore. You'll leave with everything from fresh flowers to bags and bags of farm fresh veggies and crafts galore. If you're looking for a sweet way to chill out over the weekend I have two ice cream shops that are serving up the coolest tastes in Baltimore. Formerly known to us Baltimore folks as Uncle Wigglys Jupiter is set in a picturesque area inside Mt. Washington along the Jones Falls River. Exclusively selling Baltimore made and black owned Taharka Brothers Ice cream which has won Best Of Baltimore 4 years running, you DON'T want to miss this ice cream! What To Eat: Be sure to grab their limited edition peach ice cream if you can. 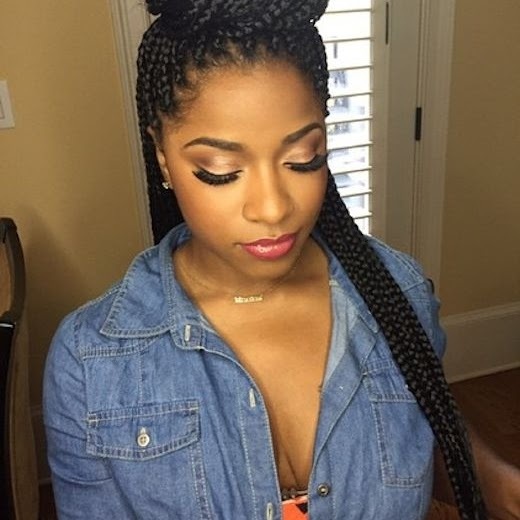 It's to die for! Just a hop skip and a jump away from Jupiter, The Charmery is in Hampden (one of my favorite areas) on the Avenue. 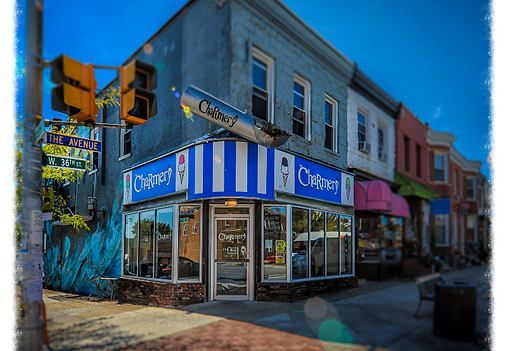 New to the scene but already a local favorite The Charmery uses locally sourced ingredients to whip up amazing ice cream with some Bmore flair. So if you like sodas from scratch or if flavors like Maryland Mud, Old Bay Carmel, Tell Tale Chocolate and Lemon Stick sound like something you could sink your teeth into don't pass up this cute little ice cream shop on the corner! Take a little hike (in your car...not literally lol) up 83 and run into paradise nestled in the city. This is honestly one of my most favorite places to go explore or just relax. Depending on when you go in the season you get to see a host of different flowers, plants and just sheer natural beauty all around you. 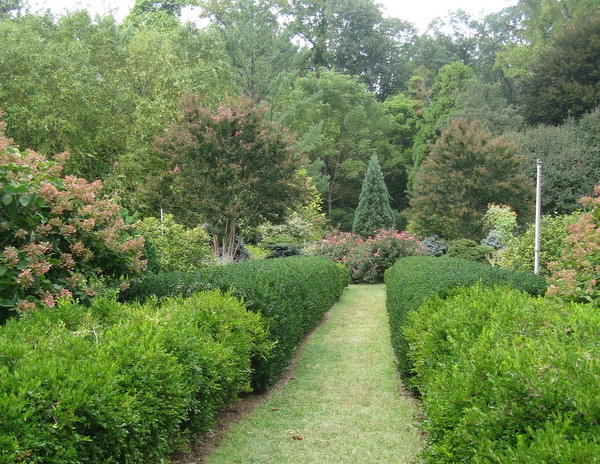 The grounds itself holds 4 different dedicated gardens, 5 different collections of trees from all across the world and 11 different trails ranging from easy peasy for the inexperienced to hard as heck for those more up for a challenge. If you're looking for quiet and relaxing beauty in Baltimore its all here for you! The Cathedral of Mary Our Queen is the third largest Cathedral in the United States and I hear it is breath taking. Yes I said I hear, personally I've never been but...the day is still young and since they are open for tours until 7pm after I'm done this post I may take a little stroll. Its enormous vaulted ceiling and stained glass windows that catch sun rays on even the most hum drum of days leaves locals in amazement. I couldn't give you cold sweets without the perfect balance of warm...plus these toasty, toasty treats come from two of my personal favorite sweet shops in Baltimore. Normally something I was only a custom to getting when I was visiting Ocean City New Jersey with my family Fractured Prune has opened a location in Towson Maryland which is about 15 minuets outside the city and well worth the trip. At Fractured Prune you'll ALWAYS have hot doughnuts that you can make special to your liking. Thats right you choose from a dozen different glazes, toppings and extras to make your perfect treat or pick one of their super original flavors that are made fresh right in front of you. What To Eat: I love O.C Sand and Strawberry Short Cake! I fell in love with La Cakarie by chance one spring day in Towson while looking for something to curve my craving for sweets. I walked in, grabbed the usual safe vanilla cupcake...took one bite and immediately ordered 3 more cupcakes. Now one specialty cake and dozens of cupcakes later I'm hooked and unsure as to how I have not gained 30lbs. La Cakerie owner and executive Chef Jason Hisley, who is a past winner of Cupcake Wars has nailed how to make the perfect cupcake. They are light and fluffy with the perfect cupcake to frosting ratio. But La Cakerie doesn't just serve up delectable sweets; you can feast on the savory as well with their full menu of cafe goodies including sandwiches, soups and more. 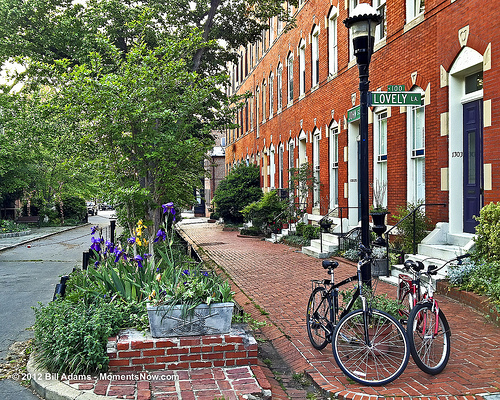 Bolton Hill is a beautiful example of classic 19th century Baltimore row homes and architecture set along tree lined streets. This historic and cultural district has hidden gems around every corner. Just walking from one street to the next you can find quaint gardens and lovely fountains. I often find myself getting lost in all its beauty every time I'm in the neighborhood. It gets extra points for housing one of my favorite places to eat On The Hill Cafe, which has the most mouth watering sandwiches and amazing Mexican inspired dishes. What To Eat: My vote? Tamale cakes or the On The Hill Club...but you don't have to take my word for it. Just celebrating their one year anniversary, the Horseshoe Casino treats me well every time I go. Which is a good thing because losing money is NOT on my list of things to do. With six restaurants a mix of table games and slots, events and concerts galore a good time will always be had when you step through the doors of Horseshoe. So grab a blogger buddy and and some extra pennies for the slots (or the big bills if your feeling lucky) and give Horseshoe a try. One of my favorite museums in Baltimore, just outside of the Charles Village neighborhood is the Baltimore Museum of Art. I personally fell in love with their Contemporary wing the first time I went, however what I may love most is their sculpture garden. It's is always an interesting and beautiful place to visit. If you are into the whole museum thing you will not be disappointed! 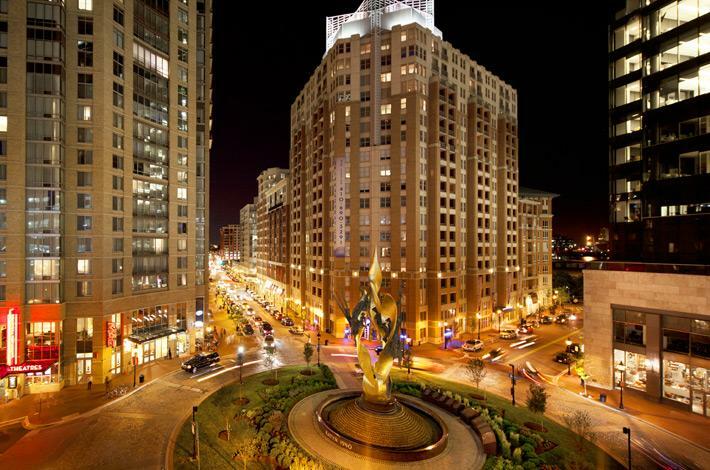 If you're only interest involve fine dining, upscale shopping and beautiful harbor views, look no further than the streets of Harbor East. It's Luxury at your finger tips! As far as food? I like to frequent Ra Sushi, however Waterfront Kitchen is a tasty place to eat as well and the views from the dining room are beautiful. Shops are a mix of local businesses like Curiosity and Sassanova and big name shops like J.Crew, Free People and South Moon Under. Catch a movie, get a massage or sit and watch the sun set by the dock, its all up to you in perfect little Harbor East. Up for a slightly tipsy swashbuckling good time? Urban Pirates is it! Unfortunately Urban I have not yet been able to hop aboard their Pirate ship, however I trust my friends expert opinion when they say this is a boat ride you don't want to miss. Grab some of your girls, your favorite *cough* adult beverage *cough* and let these pirates sail you along the seven sea's...or in this case the harbor. Enjoy views, jokes, songs, dances, games and have a jolly ol time under the setting sun! 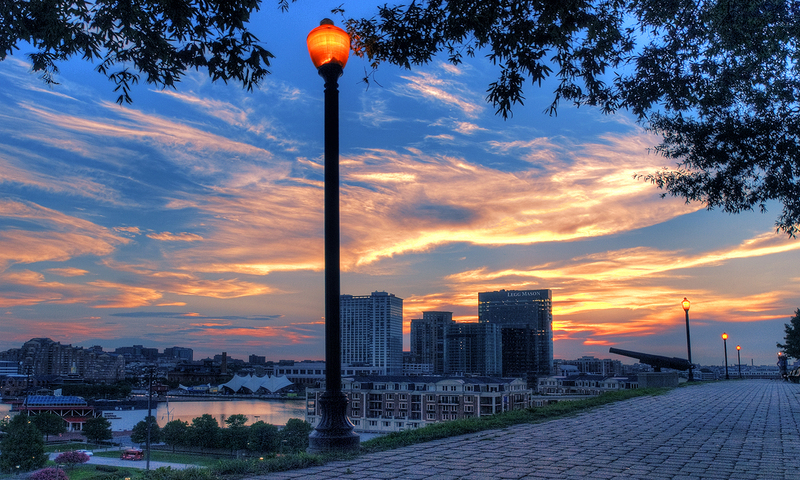 Federal Hill Park is just on the other side of the Inner Harbor and provides one of the best views of the city. Like most things in Baltimore it boasts plenty of Historic features, cannons that once manned Fort Federal Hill during the Civil War and monuments commemorating The Battle Of Baltimore 1814 are all around. Its great for picnics, late night stargazing & boo lovin'. If you're looking for a bit more of a turn up just take a little walk down the street to some classic Federal Hill Bars. Hey Hon!! Hampden may just be my favorite neighborhood in all of Baltimore city. Its Kitschy eclectic vibes with a 50's spin just makes you feel at home. Its main street "the Avenue" is lined with great eateries and super cute original shops filled with everything you could ever want. Grab a bite to eat and mix and mingle with locals as you take in the sights. If your looking for a great drink I suggest 13.5% Wine Bar and for some great eats The Food Market must not be passed up. Ready to explore Baltimore? Lace up those kicks, get out there and take it on on! Theres so much to see and so little time so be sure to have fun, eat, drink responsibly and be merry! And if you do try any of these spots be sure to snap a pic while you're there, post it on Instagram and use the hashtag #ThePrettyGirlsGuideBmore. See you at #BYOE15! Wait, you're a Baltimore blogger too!?!? Yay!!! First of all, I LOVE graffiti alley I swear I'm going to do a photo shoot there soon. Hampden is also one of my favorite areas as well as Fells Point. Hope to see you at BYOE15!!! Great article! I'm eager to do more exploring of Bmore!